Happy New Year + New layout! First, I want to wish you a very HAPPY NEW YEAR. May this new year be under the sign of love, family, happiness and health. I want you to succeed in everything you will undertake. This new year, Ana and I will work to make the site even more comprehensive than before (we are currently working on the style, press, video and carreer section). For now, I’ve added a new design on the website & the gallery. I hope you like it as much as me! 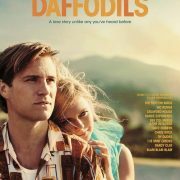 5 Movie: ‘Daffodils’ Sountrack is out now! My name is Stephanie. 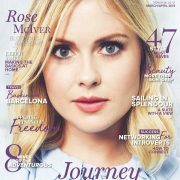 Being a (french) fan of Rose McIver, I noticed that no French or English website was created about her to support her projects & promote her wonderful work. In 2013, I decided to create the first site (not in French) but in English to reach a wider audience. In May 2017, I met Rose McIver at the 'Fairy Tales 5' con in Paris. 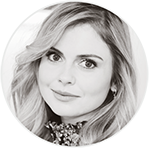 Born on October 10, 1988, Rose McIver is a kiwi actress from Auckland. You may known her for her role as Summer Landsdown in 'POWER RANGERS RPM' or Lindsey Salmon on the drama film 'THE LOVELY BONES'. 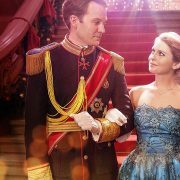 Most recently, she was seen as TinkerBell on 'ONCE UPON A TIME'. Since march 2015, she can been seen on The CW's 'IZOMBIE' as the lead, Liv Moore.